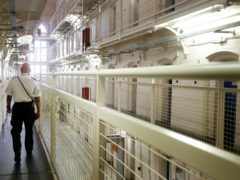 A quarter of Scottish prisoners have suffered a traumatic brain injury at some point in their lives, new research has indicated. Campaigners have conceded defeat in the battle against the controversial women’s custody unit being built at a disused city school. A Dundee man who raped three teenage girls has died while in custody. Campaigner say they won’t give up the fight against a controversial woman’s custody unit and plan to appeal the council’s decision to approve the scheme. More than 1,300 people have signed a petition objecting to a proposed women’s custody unit in Dundee. Jail bosses are poised to start their search for a contractor to build a controversial new custody unit in Dundee – but campaigners have vowed to continue their fight to block the scheme. Plans for a new community custody unit in Dundee will be available for public scrutiny at a “drop-in” information event today. Local police and prison staff have worked together in a bid to stop contraband into jail. People in the Hilltown have vowed to keep fighting controversial plans for a women’s custody unit in their neighbourhood. An investigation has been launched after a Dundee man was found dead in custody. With news that Our Lady’s Primary in the Hilltown is the preferred location for a women’s custody suite, the Scottish Prison Service answers your questions. Prison bosses have failed to win over residents opposed to their plan to build a custody unit next to a new community campus.